Popular for being open late, Apollo is an intimate little bar that also serves great fusion-style food. Besides four taps of beer, two of which always serve domestic craft beer, Apollo has a good selection of wines and mixed drinks. Come alone or with friends! This is Green’s 2nd branch after the original opened in Ishikawacho. It also serves up delicious charcoal-grilled food from an open kitchen, but offers five taps of beer in a more spacious setting. The menu differs slightly from Ishikawacho’s. Best to visit both! Operated by acclaimed craft brewery Baird Beer, this beautiful, three-story beer hall serves real American barbecue cooked by veteran pit master Chuck Morrow. They also serve over 20 varieties of award-winning beer on draft, including rare imports. A must-visit establishment! This attractive beer bar is known for its sophisticated server system. It combines nitrogen with the CO2 for an extra creamy head. But they don’t serve Guinness. Expect a full range of Japanese craft beer on tap. With its attractive interior and interesting design, Cheers serves an eclectic collection of Belgian and Japanese craft beers. It is especially well known for being one of the few places in Honshu were a variety of Okinawan beer is available. This small, slightly formal establishment doubles as a craft beer bar and whiskey bar. It serves ten selections of some of the best domestic craft and over 200 varieties of Scotch whisky, all for very affordable prices. 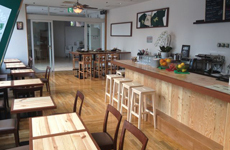 Japan’s smallest craft beer bar, “El Nubi” is all standing and casual. Master Kaji is a senior beer judge and serves six varieties of Japanese craft in special bloom glasses that allow you to appreciate the wonderful hop aromas. This popular British pub with hearty and delicious British classic dishes serves a great mix of European and American craft beers. But the real treat for many is their huge cider selection—one of the largest in Japan! The original Green—this restaurant has been one of Yokohama’s most popular restaurants since opening several years ago, and is particularly international. Only three types of craft beer are served, but the main attraction is the great charcoal-grilled food. This classy bar popular among women serves lovely tapas-style food and a good selection of domestic craft beer with the occasional American import available. Tired of craft? They also serve all the large beer makers for cheap prices. Are you ready for extreme beer and music? This place is for fanatics. 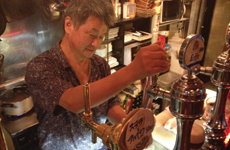 Owner Katsuki only serves strong ales that are typically high in alcohol and hoppy (bitter), while playing heavy metal classics in the background. He also makes his own extreme beer! Although not located in central Yokohama, these two bars off the beaten track in Aoba-ku are dedicated craft beer bars with good selection and hearty food. Serves an authentic Napoli Italian pizza baked in stone oven. Dining and Cruise Plan is also available. An Irish-style pub whose beer menu includes a house beer from Yokohama Brewery. A romantic bar with two taps of craft beer, whiskey, wine ＆ Japanese spirits. Popular British pub serving decent food and good British beers. Southeast Asian fusion food and all varieties of Coedo beer in bottles. 24-hour washoku (traditional Japanese) restaurant with 30 selections of bottled craft beer. Specializing in German-style food and serving over 50 types of bottled German beer. 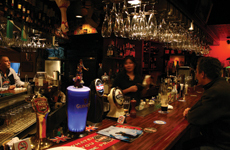 One of Japan’s oldest Belgian beer bars, with four drafts and 70 types of bottled beer. 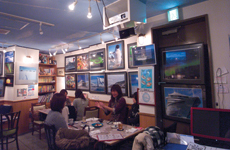 A classy Belgian beer bar and grill located conveniently right outside Yokohama Station. Serving a delicious selection of Czech beers on draft for good prices. Very casual bar.